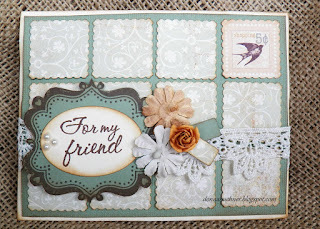 I still have a ton of papers and embellishments to use up from the april kit I love this kit! 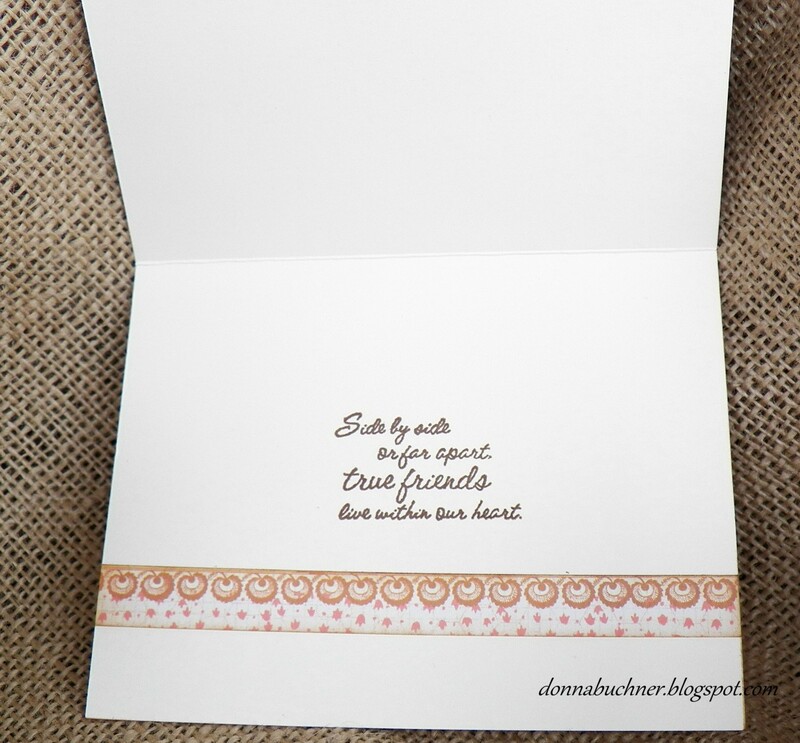 The stamped image and sentiment came from a close to my heart stamp set. I punched out the squares with the Stampin up postage punch and I also used the jewelery tag punch from Stampin Up. Hello! Thanks so much for stopping by my blog and leaving a nice comment! I really love is card, the color scheme, the vintage feel, the details...really, really lovely. I read your profile and i think its so neat that you came from stained glass to paper crafting. I just tried cutting glass for the first time yesterday and i definitely dont have the hang of it yet : ). Your card has LOTS of special details to DELIGHT the eyes! 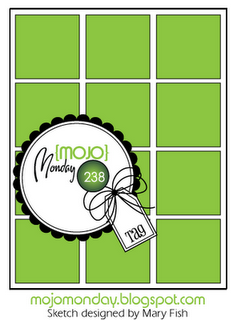 in a pattern of nine squares, that would be a beautiful card for mom on mothers day. One square per child's birthmonth and one square for dad and one for mom. My gosh Donna, this one is beautiful and is ideal for a number of occasions..